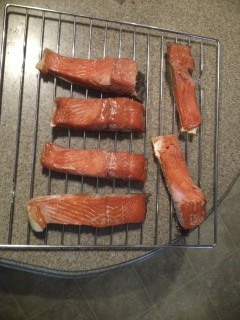 Our first attempt with our new smoker was an unqualified success. The challenge was to make adjustments in the recipes to account for the convection process since this speeds up the cooking/smoking. 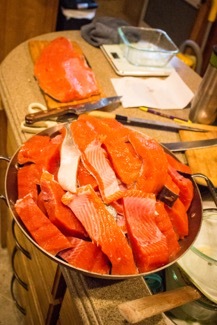 With this in mind, we filled 2 racks with fresh red salmon, loaded the feeding tube with smoking briquettes, set the timers and temperature and off we go. About 90 minutes later, we checked the status and declared a great success. After too many hit or miss experiences on our old smoker, we were really pleased with the results of our first attempt on the Bradley. To ensure that it was not just luck, we decided to try some chicken. After a couple of rookie false starts, we smoked some chicken that had been cut up for a stir fry. This too was an unqualified success. So far, so excellent. We’re psyched for our next project but we have to get some space in the fridge before we go forward. We’ve certainly been remiss in our Blog but we’ll start a catch-up process. It will be latest to earliest since it be the easiest approach. postponed this excursion until later. 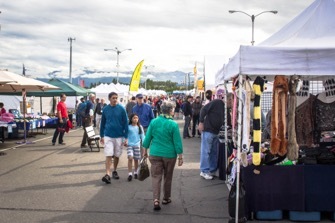 Instead we opted to go to Anchorage on Sunday to revisit the Anchorage Flea Market and do a couple of more activities. We hadn’t been to the flea market since 2004. Since we remembered it so well, we knew it had to be fun and different. We were not disappointed. It covers a big square block and is open every weekend all summer. It’s all Alaska related and is a kick. We spent about 1.5 hours wandering around and really enjoyed the visit. After a couple of shopping stops, we headed back to Cooper Landing. 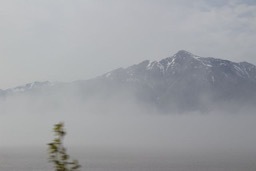 As we were rounding Turnagain Arm (a bay at the northern end of Cook Inlet), we were forced to make a stop. We knew about the tidal bore that invaded Turnigain, but had never seen it. 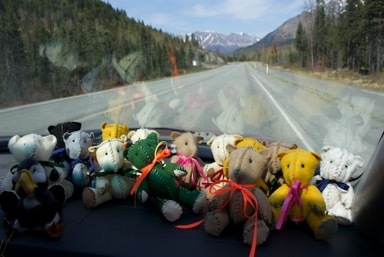 We started noticing that the frequent viewing area along Seward Highway were getting full. This was uncommon and convinced us that a tidal bore was imminent. We pulled into the next viewing area that we encountered and within moments, it was in view. There were surfers enjoying the single wave that is the tidal bore that was about 4 feet. It was more than enough to entertain us and propel the surfers forever (it seemed). After it passed us, we resumed our trip only to stop again as it continued into the bay. The surfers and the photographers continued as well. It was an excellent stroke of luck because the tidal bore is a fascinating phenomenon. So our “vacation” got off to an excellent start. We relaxed a bit this morning before packing up and moving out at noon, check-out time. 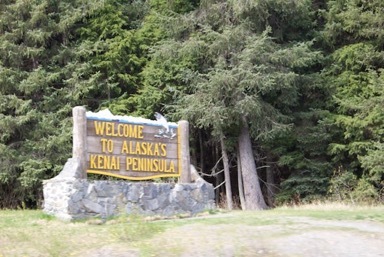 As we left Anchorage, we got on the Seward Highway towards the Kenai Peninsula. 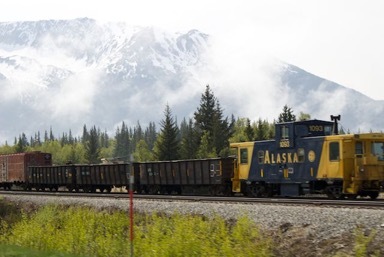 Cooper Landing is 45 miles from Anchorage “as the crow flies” but 102 as the truck drives. 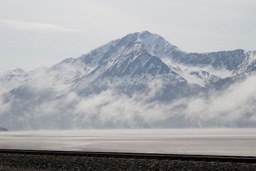 Seward Highway proceeds around the Turnagain Arm. This is a shallow bay at the northern end of the Cook Inlet of the Gulf of Alaska. It got its name from Captain Cook’s several attempts to find a passage and having to “turn again” after unsuccessful tries. Today it was fogged over as we started our short, pleasant drive. We have driven this route many times and never seen it fogged in like this. It wasn’t a hazard since the fog hung over the inlet and not the highway. 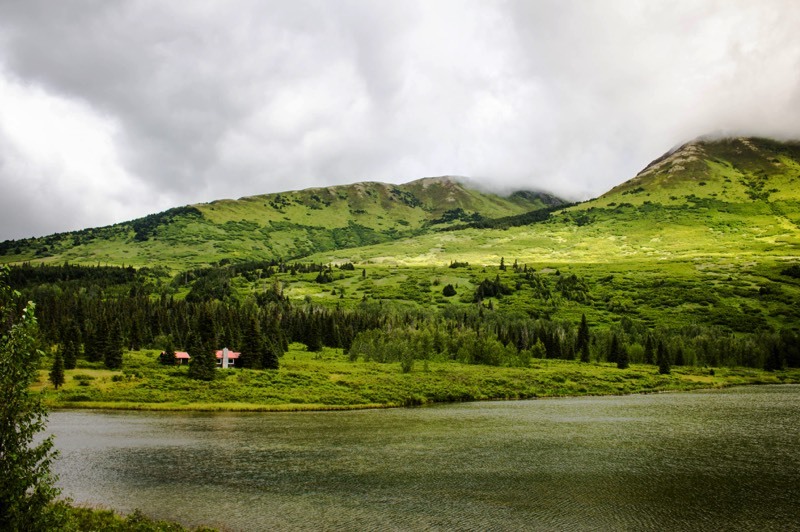 The Seward is a notoriously dangerous highway because of reckless driving. We noticed a much greater emphasis on speed warnings now. Hope it’s working because there were too many fatal accidents along this 40 mile stretch of highway. 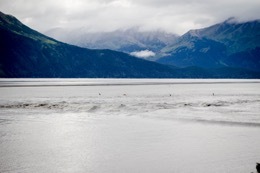 We left the Turnagain Arm and climbed into the Kenai Peninsula. There were a few rough spots along the way but the biggest delay was a 5 miles an hour 1 mile stretch stuck behind a road strip painter. By the time he moved over for us to pass, he had a line of about 20 vehicles. At this point we decended onto the Sterling Highway with a 10 mile run to Wildmans and our home for the next 4 months We pulled into Wildmans at 2. It was a great, warm welcome from all our old friends. Heather, Jerry, Cheryle and Pat were all there to greet us with hugs. After some story swapping, we took a tour of the significantly changing store and then Jerry parked the RV in site 6. As we were setting up, Cary and John popped by. A real “old home” welcome. It was great. After the initial cleanup and setup, we were ready to relax. It’s going to be great to have NO take-down/drive/setups for the foreseeable future. We have our first day of “work” in the morning. We have to attend a TAMS class for the sale of tobacco and liquor products. I’m sure we will chill for a while after that. We’ve got organizing and cleaning to do but nothing urgent. Looking forward to a great summer. Thanks for following or journey. We’ll continue to post because there is seldom that a day passes without shareable events. 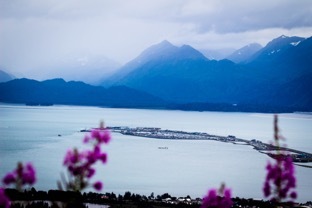 There will be Kenai Fiord tours, Homer visits, Seward drives, a trip or 2 to Hope. There are eagle to photograph, grizzlies to video and moose to gawk at, It will continue to be adventurous and fun. 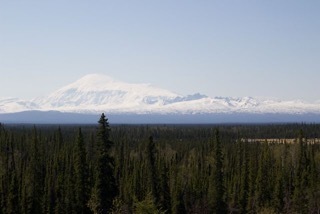 We left Tok at 9:45 prepared for a challenging 120 mile start on the Tok Cutoff Highway. We had been forewarned about this stretch a couple of times so we were mentally prepared for road damage. We had 320 miles to go today and we much preferred to have the lousy road conditions at the start of the day. 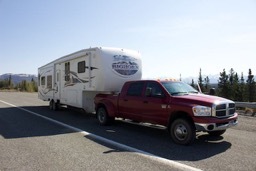 After yesterday’s challenges on the last 100 miles of the Alaska Highway, we were ready. 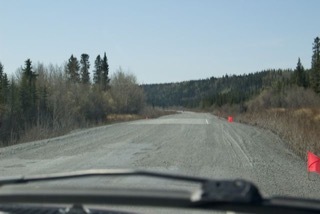 Tok Cutoff was not as bad as we anticipated since the Alaska DOT had begun repairs and smoothed out must of the ugly road damage. The repairs were leveled out gravel that deteriorates as it is used but sets them up for permanent repairs with significant improvements for travelers. The scenery on that segment is amazing. 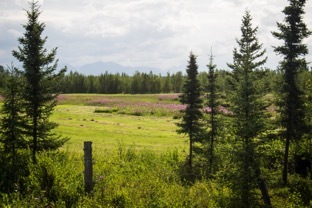 Yesterday took us by Canada’s Kluane National Park. Its American neighbor is Wrangell-St Elias National Park. 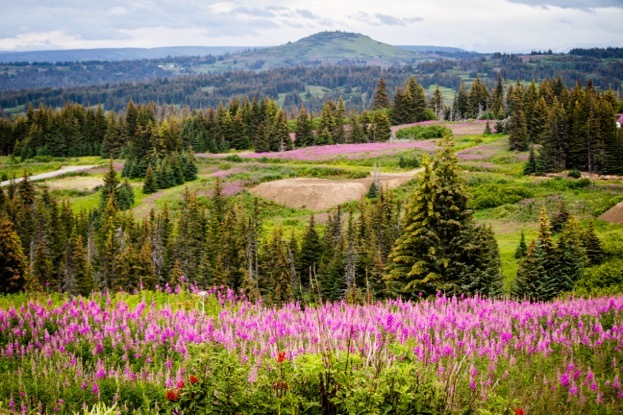 It would not be surprising if you haven’t heard of this park but it is the largest park in the US at 13 million acres. 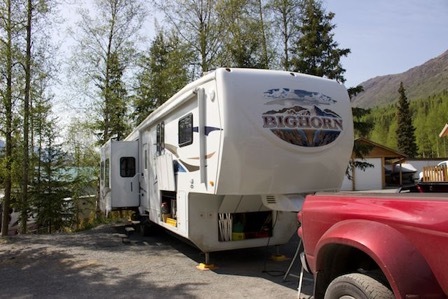 It has 17,000 ft peaks and is breathtaking, With Kluane at 5 million and Wrangell at 13 million, there are 13 million acres of national park with fabulous scenery and wilderness. Amazing. 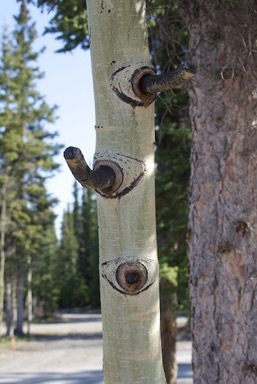 The welcomed end to the Tok Cutoff Ts into the Richardson Highway that extends from Fairbanks to Valdez. We only drove on 20 miles of this highway to Glennallen. There we picked up the Glen Highway to Anchorage. 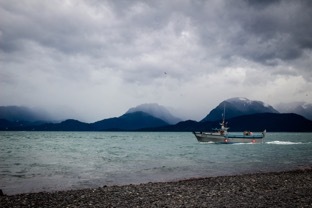 This westerly drive took us by more Wrangell sights and continued with mountains and glaciers off to our left. The highway was in excellent shape and the drive to Anchorage was uneventful and pleasant. We arrived in Anchorage at 5 and were greeted with the 5 PM traffic. Fortunately it was outbound and didn’t present us with any delays or challenges. 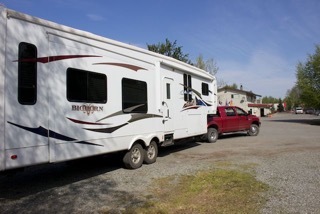 We were parked and set up by 6:15 at the Golden Nugget RV park. We celebrated by going to Fred Meyers super market for some groceries and fuel. We had minimal wildlife sightings with 2 moose and 1 caribou. Tomorrow, it’s off to Cooper Landing. This is a very familiar 102 miles that will take us around the Turnagain Arm and into the Kenai Peninsula. More about these tomorrow.